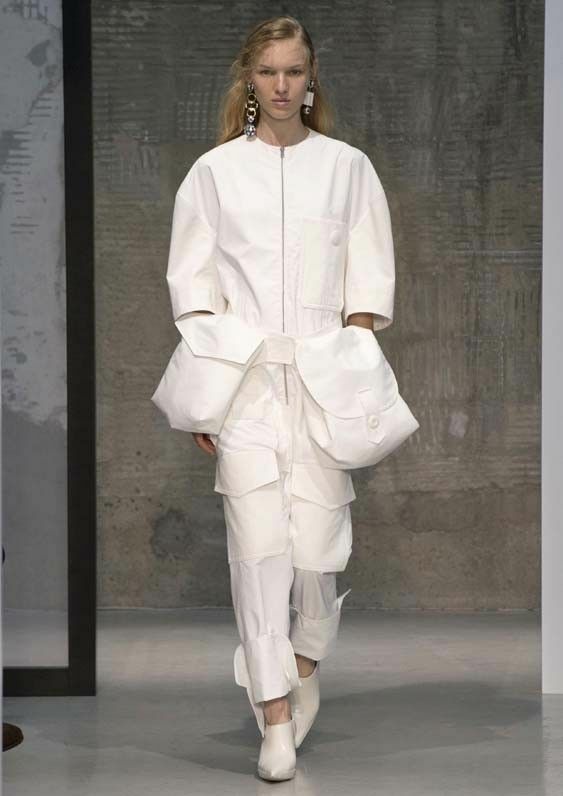 Marni’s spring runway show proved to the world that authentic conceptual design is still alive in the fashion industry. Consuelo Castiglioni’s decorative techniques, such as structured suit sets and nautical ropes as elegant architectural designs, were standout themes for the spring collection. Drawstrings gave shape to coats, pants, dresses, and shirts, providing the fabric a body of its own. The collection embodied the perfect blend of masculinity and feminine detail. Through neutral tones and pops of bold color, each design illustrates a modern take on the sophisticated and stylish woman. Keep reading to see every look from the Marni S/S 17 collection, and be sure to shop current pieces here.